Studies have shown conclusively that companies who engage their employees through timely recognition experiences, perform at a higher level. We have seen a thing or two in our meetings and experiences with our client organizations. Since 1992, we have partnered with area organizations. We have helped with the rollout of new award programs and then supplied the awards for accomplishments from the selling of farm equipment, to truck driver safety, to years of service recognition for nuns in hospitals. Call it building employee engagement or call it showing appreciation and honoring the people you count on every day to get the job done. Let us help you with the planning , the rollout and the supplying of your awards. No award allows light- both natural and artificial to dazzle the eye like a glass or crystal award. Close behind is the lucidity of acrylic. 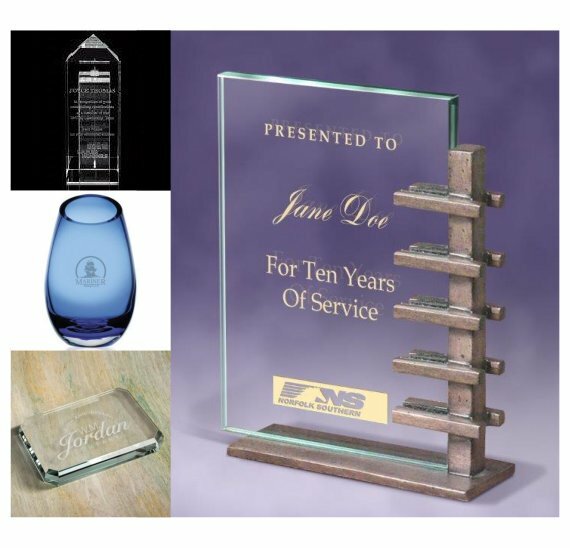 Logos can be etched, messages cleanly and clearly engraved, and product replicas can be embedded in these pieces to create a one a kind memento of the employee’s achievement. Some people say that the cell phone and the fit bit are replacing the wrist watch in today’s business world. 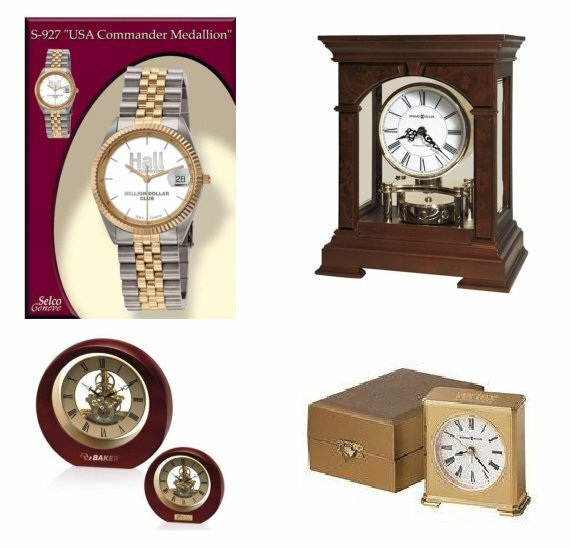 But when first impressions are important, a classy looking wrist watch tells the world that good taste is still a key ingredient.When our customers want us to suggest the one award that will appeal to women and men of all age groups, the one item that fits every recognition need, our response is to select a nicely styled clock from our vast collection that can be engraved with the recipient’s name and a recognition message. Napoleon once said: “Medals are funny little things, but they move men.”The medal, though still used in the military, gave way, after World War II, to the die struck lapel pin. 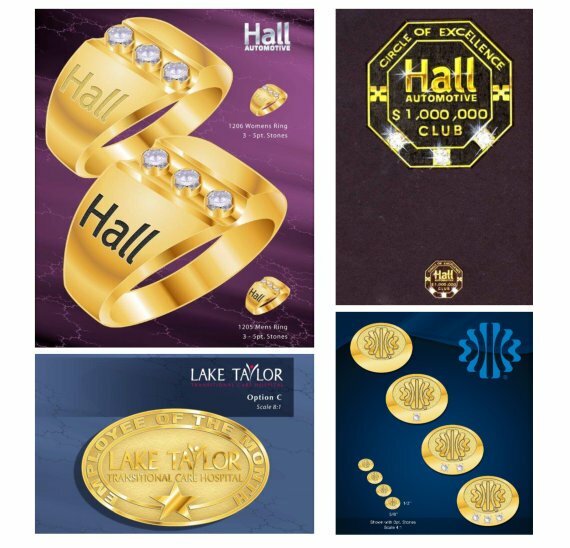 From karat gold to plated medal, the lapel pin still offers an inexpensive, yet a very visible award for organizations. Pins can be engraved to show the number of years an employee has served, as well as a small jewel. The gold or silver ring melds the symbolism of relationship with the achievement of the employee’s accomplishment- whether it be for winning the Super Bowl, for selling the company’s product and services, or just to commemorate the employee’s loyalty to the company over years. The ring is still the best carrier of the intrinsic value of precious metal and beautiful jewels. 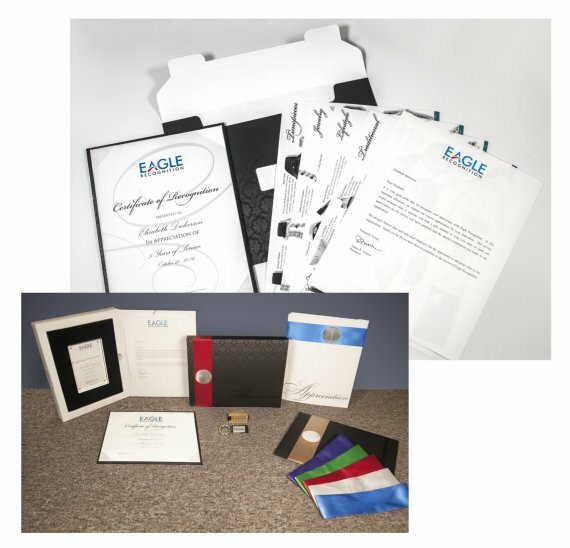 Starting at $25 per gift, we can provide a multi leveled program that includes a nice folder with certificate and lots of gift options for your employee. Gifts range from jewelry to life style items and much in between. 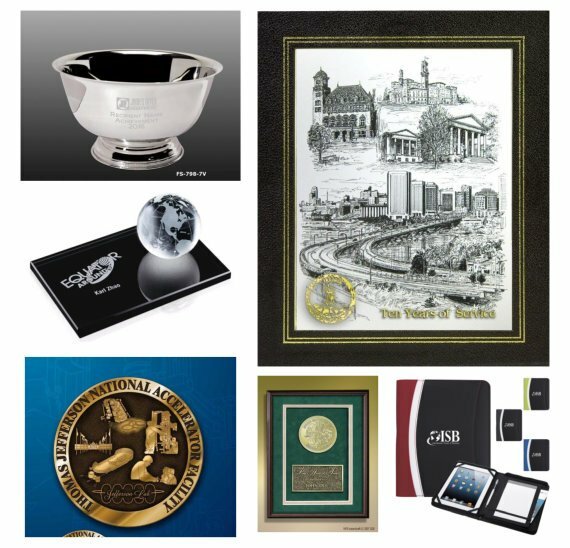 If the employee goes on line, he or she will find lots more gifts to select.So ordering is easy… on line, on the phone, fax or call us.Plateau pricing, so every award in a given level is the same price. Makes it easy to set your budget. We can take you to the heart of employee engagement. 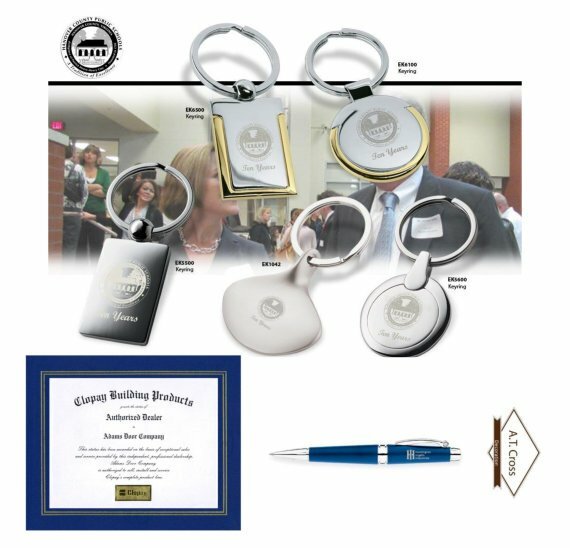 We have helped our clients create custom awards ranging from a beautiful bracelet and charm for Nancy Reagan for the christening of the aircraft carrier, Ronald Reagan, to detailed cast medallions mounted in shadow boxes that commemorated the regions of a large Virginia bank.We can work in glass or metal, jewelry or wood. Your imagination and our expertise will ensure that your award will capture the accomplishment and the employee’s heart! Don’t overlook the importance of helping a new hire feel like he or she is part of the team. An informal presentation of a key-ring, lapel pin or a tote bag, in the presence of team members, can go can a long way in building a lasting relationship.